Richard “Dickie” Longway, the son of Darlene Ruhl and the late Ernest Longway, passed away unexpectedly on May 7, 2017, at his County Road home. 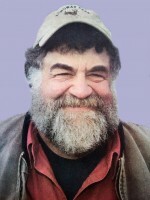 He was a well-known respected lifelong area dairy farmer. He was born in Burlington on December 31, 1950. He attended Central Catholic parochial school and graduated from BFA-St. Albans. On, August 13, 1977, he married Julie Hogan who survives him. He faithfully served his country in the United States Marine Corps and received his Honorable Discharge on September 3, 1976. Dickie was passionately involved in his community. He served several years on the Swanton Regional Planning Commission, Swanton Select Board and Board of Civil Authority. He was also a member of the Farmer’s Watershed Alliance and served as a delegate for Agri-Mark. He was a member of Holy Angels Roman Catholic Church, a third degree member of the St. Albans Knights of Columbus and Benevolent and Protective Order of Elks Lodge1566 in St. Albans. Dickie was an avid hunter and looked forward to his annual trips to Witch Bay Ontario. He enjoyed his Sunday rides with his wife in his 1970 SS Chevrolet Chevelle. Dickie fulfilled his lifelong dream of building a successful dairy farm to pass down to his sons and future generations. He enjoyed spending time with his family and his grandchildren who were the apple of his eye. In addition to his wife Julie, Dickie leaves his mother, Darlene Ruhl; two sons and their wives, Travis and Kirston Longway and their children, Mason and Kennedy and Adam and Chrissy Longway and their children, Camden and Addyson all of Swanton; his siblings, Valerie (David) French, Christine Demers, Edward (Tina) Longway and George Longway; brothers and sisters –in-law, Catherine (Rick) Coleman, Linda (Albert) Gaboriault, Patricia Pelkey, Paula Hogan and Patrick Hogan. Along with many aunts, uncles, nieces, nephews, cousins and a special uncle, Irwin Ruhl, and his extended farm family. Besides his father, Ernest Longway, Dickie was predeceased by a brother Ernie; his in-laws Patrick and Pauline Hogan, two brothers-in-law, Timothy Hogan and James Pelkey. The Liturgy of Christian Burial will be celebrated Friday, May 12, 2017, at 11 a.m. from Holy Angels Roman Catholic Church, Lake Street, St. Albans City. Father Maurice J. Roy will be the celebrant and homilist. The Rite of Committal and Interment will follow in Mount Calvary Cemetery. Friends may call at The Kidder Memorial Home, 89 Grand Ave., Swanton on Thursday from 4 to 7 p.m. 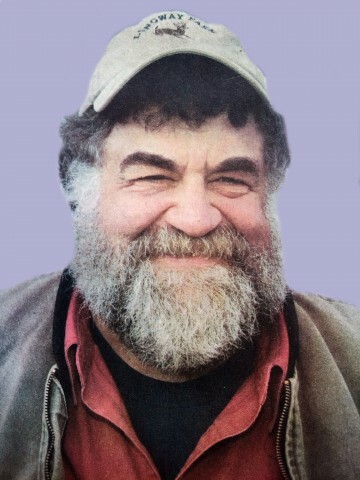 In lieu of flowers, those who wish to make memorial contributions are asked to consider the William Fournier Agricultural Scholarship Fund, in care of, Northwest Supervisory Union, 100 Robin Hood Drive, Suite 2, Swanton, Vermont 05488.